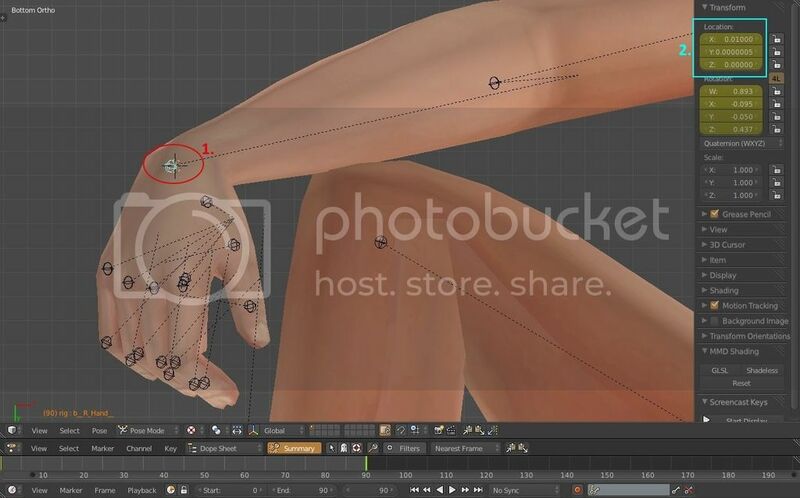 "If You just starting out in blender and learning posing and Blender, I would suggest starting out learning the adult posing before and getting a Good grasp on that and control of them before trying this as Child posing can be frustrating when just beginning in blender." along with Front, Right and Top ortho which is 1, 3, 7 on the number pad. 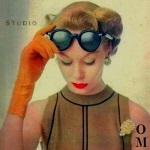 The differences between a Pose pack and Override pose. 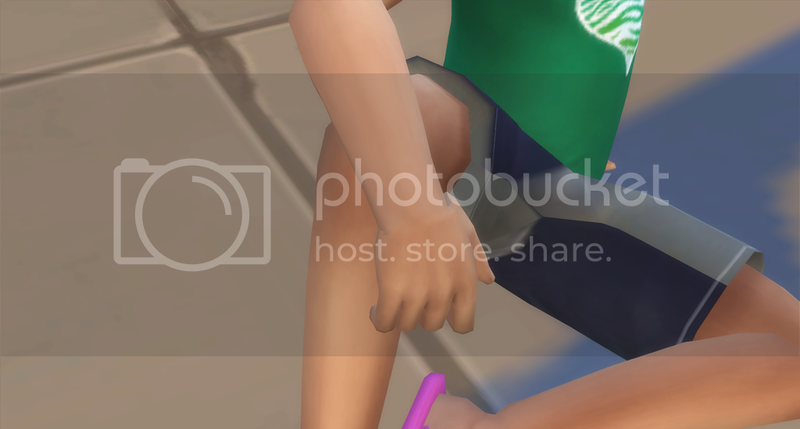 is that the Pose pack will have a working jaw movement incase you are posing with a open jaw movement along with your pose. A Override is overriding a EA animation with your own pose and do not always have working jaw movement but there is Tutorial Here. These are the acronyms for child animation So You can Identify them as if you choose to do a pose in override. A.) c2c -Child to child - interacting with another child, these have " _x and _y " this means x is Initiate starter pose and "Y" is the follower. B.) 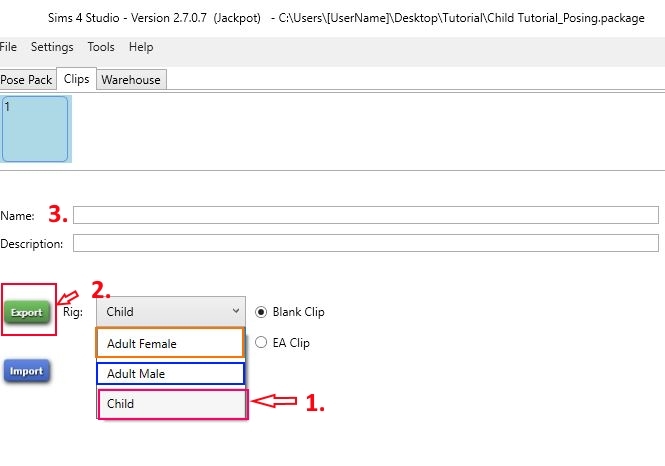 c2o - Child to Object -is a single pose animation, For single it just has " _x"
C.) c2a - Child to Adult -child talking or interacting with Teen/adult sim, again this is the same as C2C . " _x and _y" this means x is Initiate starter pose and "Y" is the follower. here the child would be the "X" and the adult would be the "Y". I'm going to start out this tutorial with a Pose Pack aka the Clip Pack. 3. Exporting and opening in blender. 1. since I'm doing a child posing tutorial choose this option . 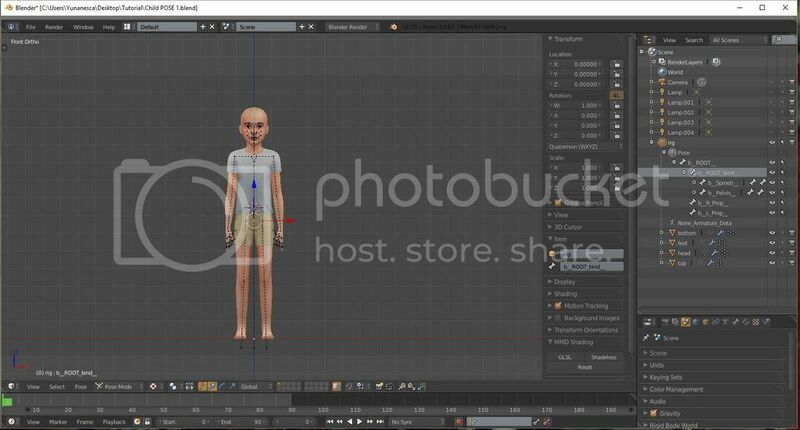 2. then export a child file this will make the blender rig of child sims for posing. 3. Don't forget to give your package a name so when you put in game to test it out you can find it easily if you have other packages in game like I do but for this I took all mine out for to find mine. 4. Now that we have opened this were going to look at 1. on here which is the "Pose"
You want to expand this section to the "b__ROOT_bind__"
5. 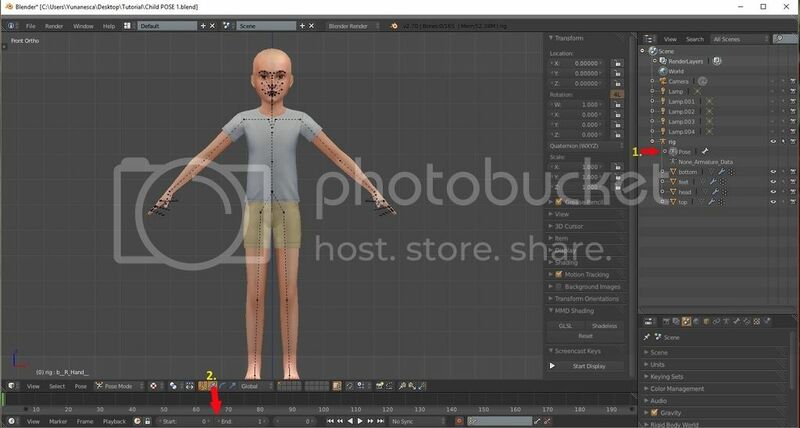 On 1. you wanna open the eyes that are closed next to the b__ROOT_ and the b_ root_bind this is main over all body controller for the rig in blender. This moves the entire rig is self . 6. On 2. you want a fill in number you want your pose to hold for in game you want it hold the pose it self for few seconds I want mine to hold for about 3 seconds so I'm going put in 90 that about 3 seconds, it take 1 second for the game to read the pose 2 seconds to get it in place then 3 to actually see it and to pause game to get screen. 8. That says global and it will turn it on. You can also shut this off just click the button again. to hide it . so this mine look like now that I have it set up and read for new pose. 9. I have an idea I want for pose a so next is the easy part is just pose a simple pose nothing to big I'm going to have mine do a ground sit but You can do what ever pose you have in mind for yours. 10.5. Couple child posing: It relatively simple just like appending to adult pose you do the same for child pose but as I said before you append the second rig aka the child model and pose them how you like for both sides . as you would the adults before the blender adjustments then do the adjustments after both children poses are done. 11. This is going to be the Blender Adjustment part . Unlike adult rigs Yes with the axis of the child it tends to flip forwards or backwards of the child and every once in while( This is RANDOM) it will actually stay standing and you can do regular posing like the adults do but not very often at least for me most times. There isn't a way to fix the axis to keep it from being thrown off like that it's just something that has to be worked around at least for Now, once you know this information, you can work with it. The adult sims will tend to stay on the Z and X when in Front Ortho and in left or Right Ortho is Z and Y In blender the children axis is the same but again once in while when they do this. When they flip front or backwards when tested in game it becomes the Y and Z axis for them Right Ortho, and visual example here. again I highly suggest making sure your pose's are completely finished before the first test in game pose adjusting the child rig . Ok this visual hopefully I'll be able teach what I mean so you can understand from the picture I marked in color numbers an letters. By the way always Unlock your Key frames in blender when going to re-adjust the pose and re-LocRot them back after each adjustment. 1. The "Y" axis in game is considered the floor for the adults, and sometimes the children. 2. The "Z" is the Axis is that the children will be standing on as a floor when they flip backwards or forwards, Just like the adults on "Y"
A. is the Forward direction the child may flip which means the child will be Face down in the ground when testing the pose in game. 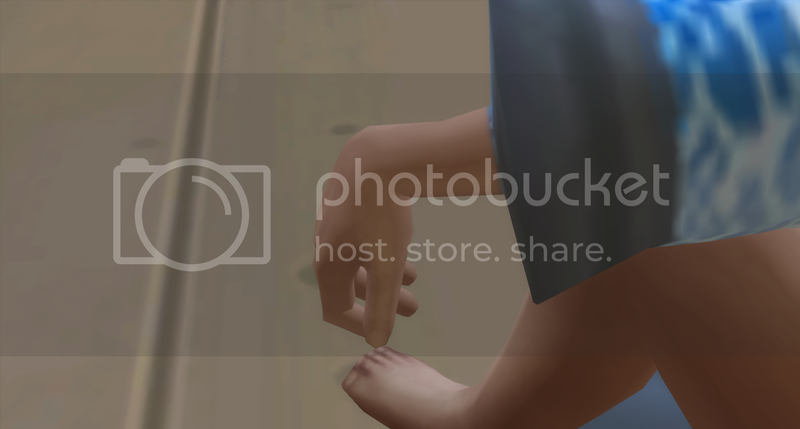 B. is the Backwards direction the child May flip Which means the child will be laying on there back when testing the pose in game. In game your child pose may flip Forward or backwards so in blender You would Have to Rotate the Child Rig In blender Forward or Backward the Opposite direction it looks in game to get it standing. This causing the child stand on the "Z" axis. using the "R" = Rotation while on the "b__ROOT__" You want to be able to pull the rig back to the Y so in blender the right will look like that are Laying on there back in blender but in game they will appear to be standing up. here is the Example I explained to the member that child pose ended up Face down in the ground when he tested it in game couldn't figure how to fix these are these pose's are part of couples set I had made and these both flipped one face down an other on it's back. as You can see here both children are on the "Z" the pic on the Left the Rig is flipped backwards and one on the Right the Rig is flipped to the Front. End of example so now you have idea of what the blender adjustment in child posing. 13. So as for the pose I'm currently working on now that you have idea Of what I'm talking about on the blender adjustment for child posing. 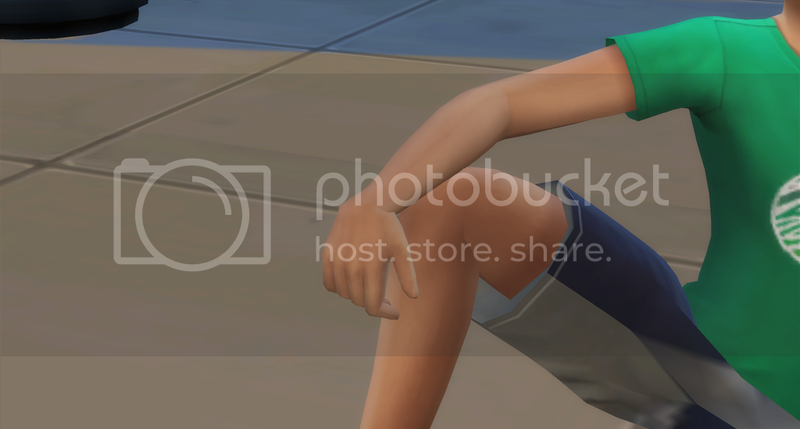 so here we need to Rotate the Rig face down in order to get the sim in game to look like he is sitting on the ground. 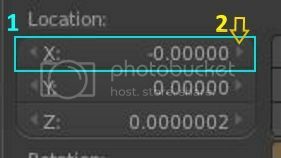 Make sure you Remove all your Key Frames before rotating& the pose, the least amount of key frames I use is only 2 ,2 is the minimum you can use at the very least for a pose. Not 1 the game won't recognize it as being a set pose an won't even show up. At least two locked in place. I have mine set a 0 the beginning and the end frame 90 frame. so when you have the direction you need re-test the package again and then for every time after make sure you remove key frames every time you need adjust and re apply key frames in place even if it is just two at least. So now that we have the adjustment in place it would show up like this in game. minus the minor adjustment for the foot and slight left tilt for pose to make it more balanced but I have end result of getting my post to sit correctly in game an now that I know that I can go back in blender and reverse the position and sit the rig a little more correctly the way I want and to get the child to look as I want. so here is the full adjusted pose in blender and game. Here You note that I have the Rig right foot above the line and in this picture I'm looking from the bottom view. I'll explain why about the feet at end of this tutorial In the Tips an tricks I learned while learning child posing. In the picture below this the right foot is perfectly flat looking on the ground . 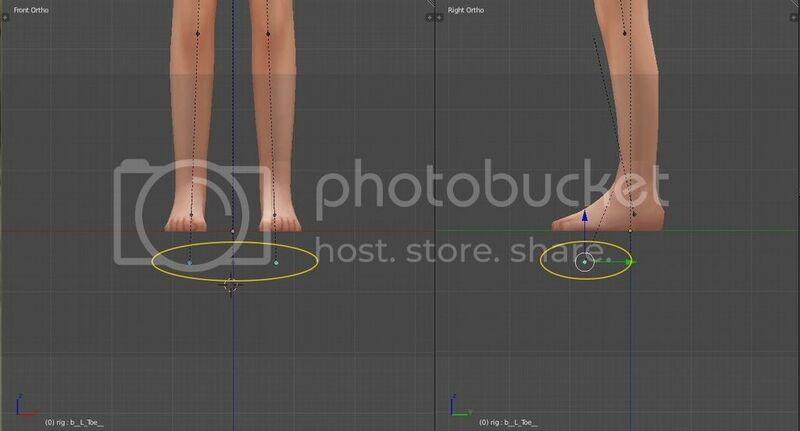 If you having issue with the feet is sinking in the ground like the if your pose is standing You would use the "b__ROOT_bind__"
to pull the Entire rig up if it sitting similar to mine then you just wanna adjust the left of that foot so toe is on the line. 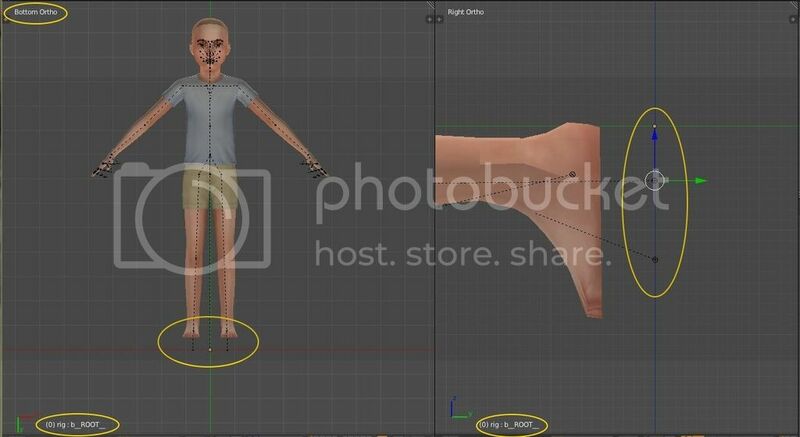 so if you have a pose that stands like the adults there feet placement in blender would be as seen in A.
the feet placement would appear to be like this for them seen in B.
the toe of the rig is on the line of the z axis this for some weird reason the game reads this as ground touching the sole of the foot for the child rig it just works this way. This is a Optional part if you don't mind fixing your child wrist pose you can always just throw some bracelets on them and hide them. This will be fix in due time just not sure when at the moment. There seems to be a issue with the child wrist wanted to sink inward and this only seems to happen to the children but not the adults thankfully. so I came up with the only solution I could find for a fix for this cause for the OCD poser's out there this drives us crazy believe me I'm one of them. you should see the boxes X, Y, Z in the three you want to look at "X"
there is small tiny arrow to the right of the small box of numbers you want to press that arrow twice the Number will change from 0.00000 to 0.02000. You should see the wrist extend so this will fix the sunk in wrist effect of the child here is the end result from start to finish for each test. I do Hope this tutorial helps and answer questions bout the children tutorials as far as I'm aware this first and only child posing tutorial. We'll do out best to answer as soon as possible. Thanks for this great tutorial yunanesca I moved it into a individual thread not to lose it in the other one. THank you! Mathcope ty, I appreciate it :)from now till I leave for my absence I'll answer all question till then. Thank you for sharing this helpful tutorial yunanesca! Great Tutorial Yuna! Hope all is well! Hello! Thankyou for this tutorial I really needed it.. xd But I don't have the rigs for kids and if I export them it says that it's not supported like what the hell, can you help me fix this? Moderator edit: quote is too long. nousimsx HI and you should be able to although It may be some they updated in the studio Feyona orangemittens but will do my best figure out why it won't download seems a bit odd to me to. is everything up to date in game?? Hey! It did work already, I just had to update it but I thought that the game would do that by itself. But no. yuna, this is a nice tip. (although I usually make poses for adults, I made a note on this trick) Thanks! Hm, I have never experienced any of the issues you show here. Posing and animating with child rigs is a breeze (or at least, easier than with an adult one). Maybe things have improved since 2016? You put a great deal of time and effort into making this tutorial and I'm sure it's helped many people. I'd love to know if the issues shown here are still a problem to this day (they don't seem to be). 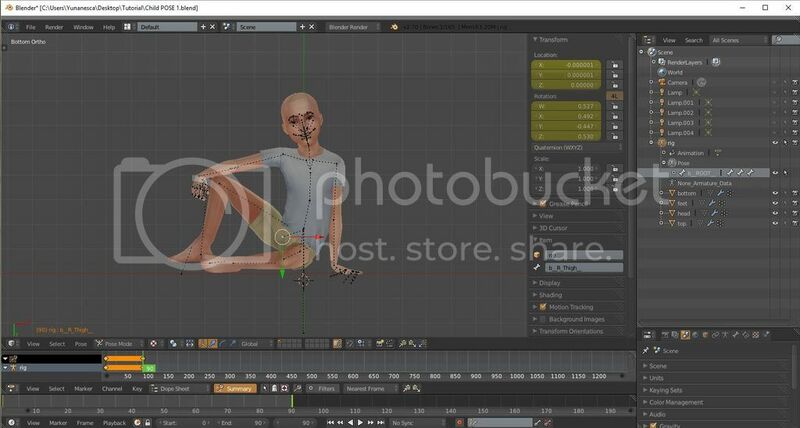 "A Override is overriding a EA animation with your own pose and do not always have working jaw movement but there is Tutorial Here." Just a check, but I get the same error message when trying to see above mentioned link. Hi all, when you are logging in, please be sure it says sims4studio.com in the upper address bar. 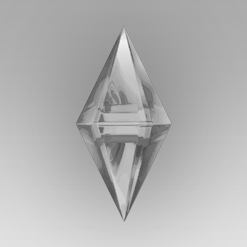 Old links can redirect to an address that is no longer used (sims4studio.forums.net). We attempted to use the old address but that did not work, and it made the problem worse. You'll need to change it to get to the site if you have the old address in your browser. If you know of others who are having difficulty accessing the site, please share this information with them. Given the recent spate of people having this problem, I have opened the beta download section for now so no one will have to log in. That way, everyone should be able to grab the new version without an issue regardless of the address in their browser. 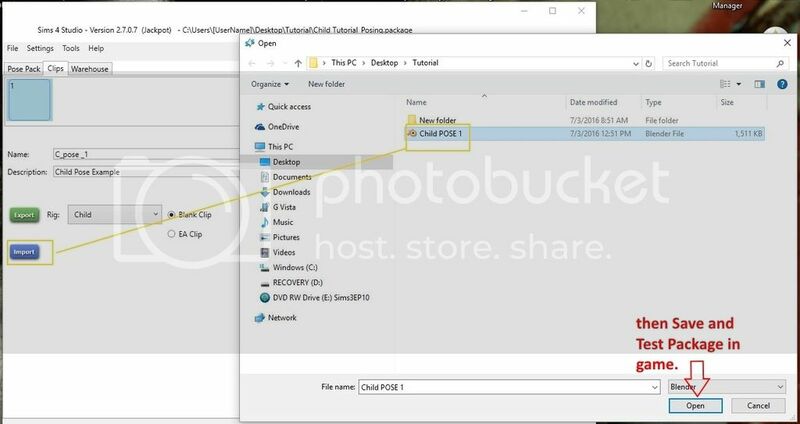 The problem with that is... the link in yunanesca's post is a sims4studio.com link. Forums.net isn't in the address bar. I wish the solution were so simple. Thanks anyway. Sorry for responding so late I have been super duper busy in RL. Yes it used to be that the child rig for some reasons Gave me issue I'm sure few other to at some point but I think the child rigs had been fixed since then it was how I was able to fix them in case others need a bit of tip til we updated then the Currant child rig is better choice through Yay for OM and Andrew.